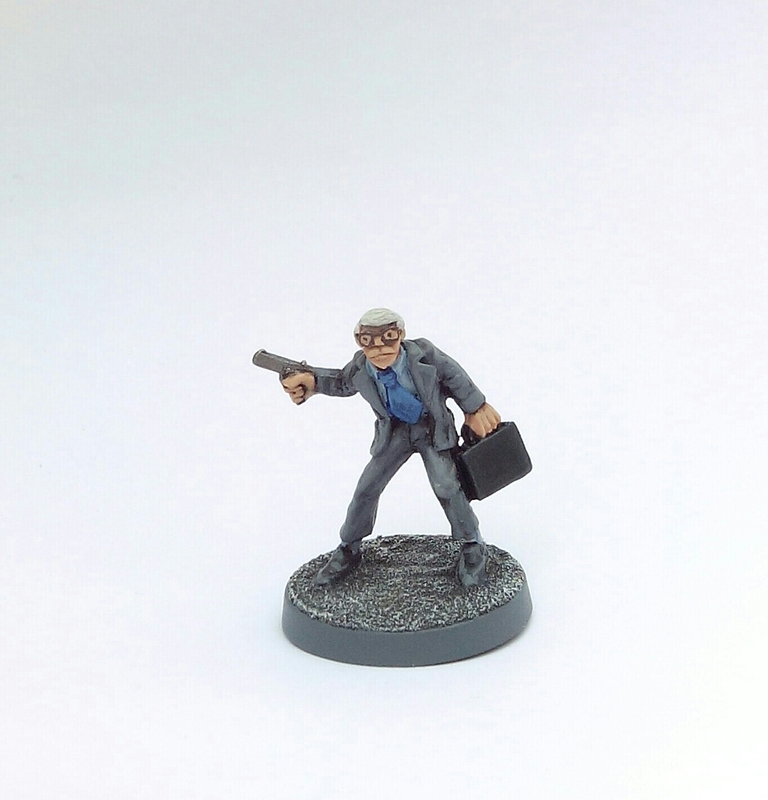 Originally part of Grenadier Miniatures ‘Future Warriors’ range from the early 90s this miniature caught my eye recently as a ‘bank robber’. So on a whim, and with no reason or plan to use it in any of my games, I bought it. Intending to paint it up quickly as a palette cleanser after lots of fantasy painting I was amazed when it arrived at its resemblance to a certain UK prime minister from 1990-1997. The details in the eBay photograph didn’t really give any clues that the sculptor (Mark Copplestone?) captured Mr. Major so perfectly in miniature form! This entry was posted in Post-1990 and tagged EM4 Miniatures, Grenadier miniatures, John Major, Suits on June 25, 2017 by Hobgoblin Orange. For a while I’ve concentrated on painting a mixture of Reaper Bones and old school pre-slotta lead miniatures, primarily for use with Frostgrave and 5th Ed D&D games. Like most miniature painters I have lots of old lead and far too many new plastic kits awaiting my attention. With this in mind I’ve probably spent enough time on Frostgrave and D&D minis for now and so fancy a change of painting direction. To draw these projects to a temporary close I’m going to try and finish the Frostgrave collection off (just 5 more miniatures to complete it), clear down some other ‘WIP’ bits and then move on to hopefully putting an Ork Kill Team together for Shadow War Armageddon (SWA). 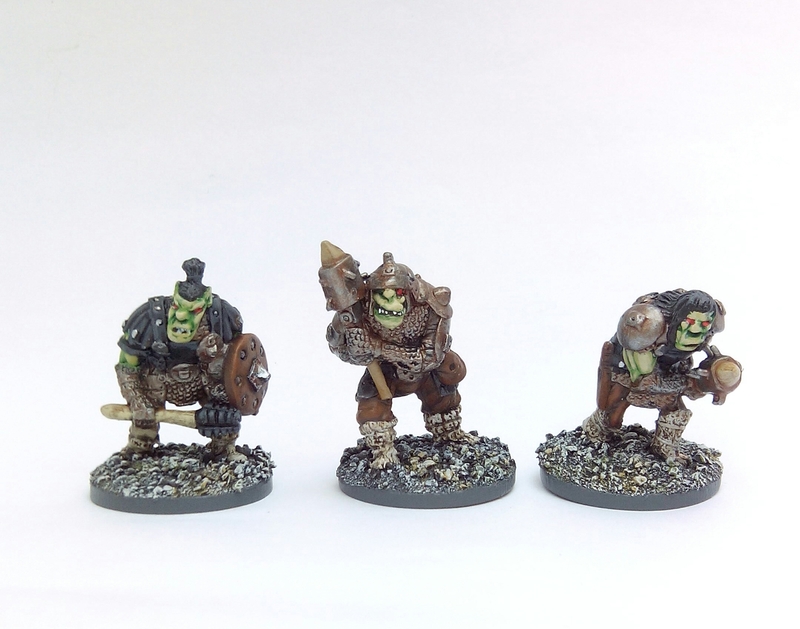 Anyway, this week’s offering were part of that ‘WIP’ – various Hobgoblins from Nick Lund’s Chronicle Miniatures company. As I’m sure I’ve mentioned before Lund’s sculpting style is very much a love/hate thing for a lot of painters. I personally love his style but I can appreciate why others don’t. I don’t think I’m being negative by describing it as ‘primitive’ – I think that’s a genuine part of the appeal to me. Lund started sculpting in the 80s but had stopped by the early 90s. I would have enjoyed seeing how his style developed beyond that into the following years but sadly it wasn’t to be. The rumours are an allergic reaction to his preferred modelling medium put an end to his sculpting. He moved into game design but now appears to have completely disappeared from the gaming hobby after the collapse of Grenadier UK in 1996. Below is another Citadel C13 Night Goblin from 1983 that was meant to have been painted with this lot however it was lurking in dettol at the time and escaped my memory/attentions. I’ve rectified that and its now part of the warband. 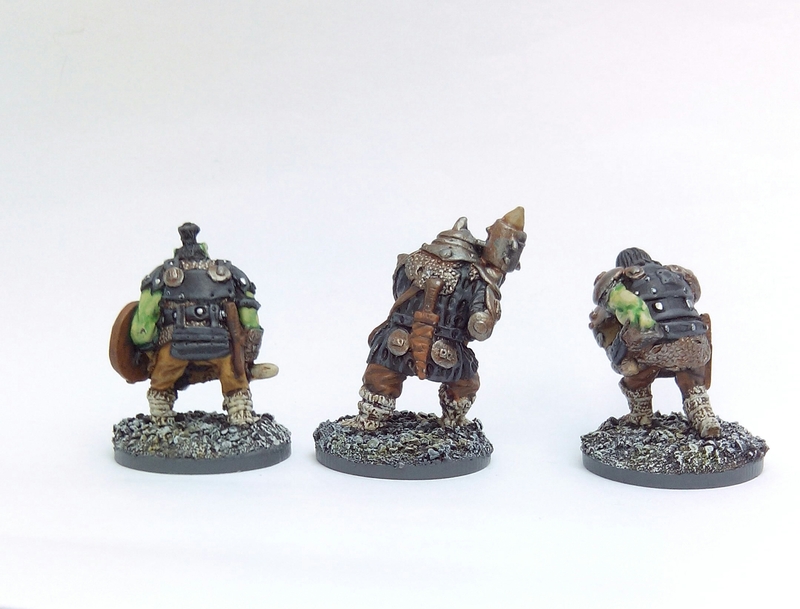 This entry was posted in Pre-1985 and tagged C13, Chronicle Miniatures, Citadel, Goblin, Hobgoblin, Nick Lund, Night Goblin on June 18, 2017 by Hobgoblin Orange.